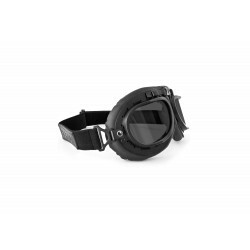 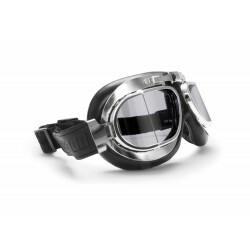 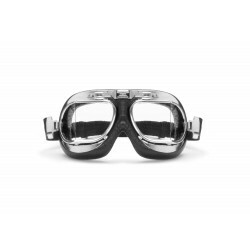 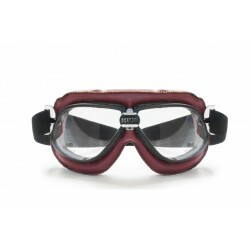 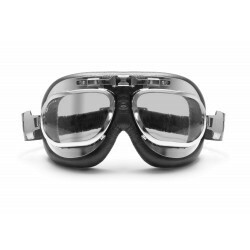 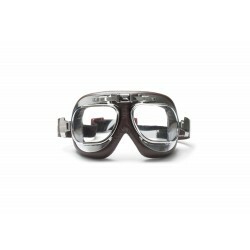 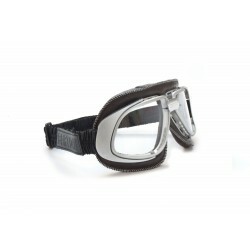 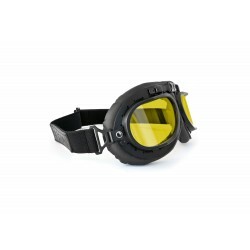 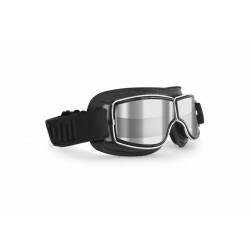 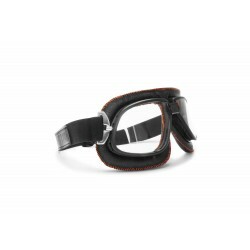 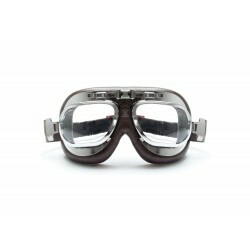 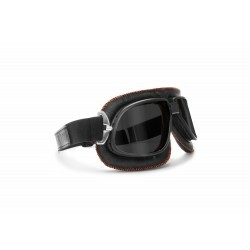 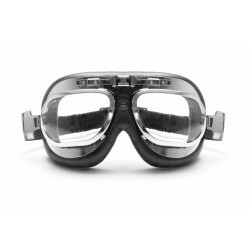 AF190A:Vintage goggles for motorcycle in black color. 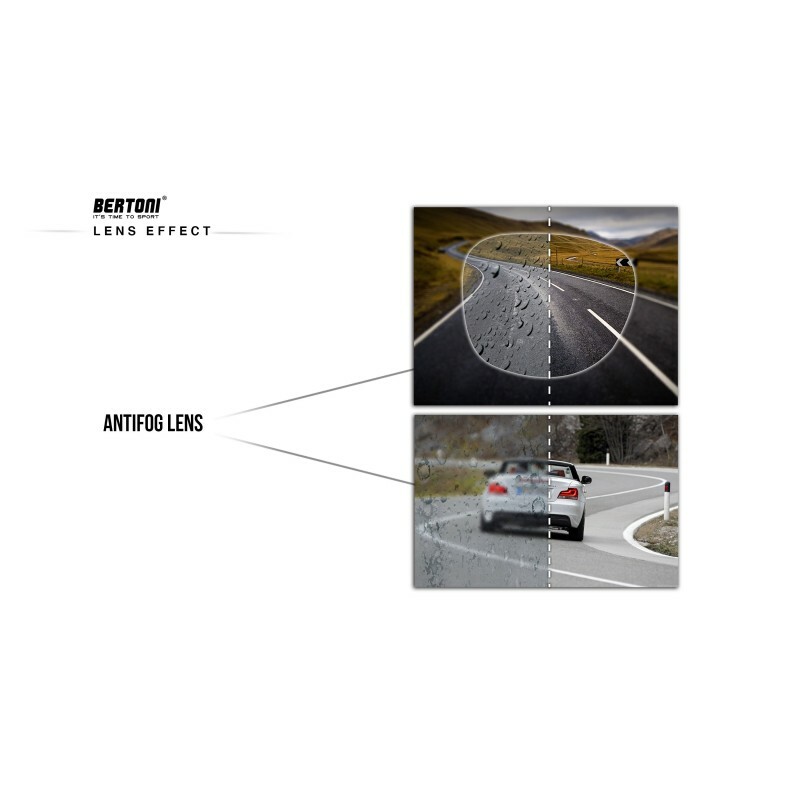 Lenses are transparent clear and anticrash. 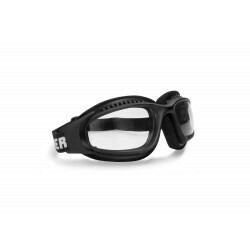 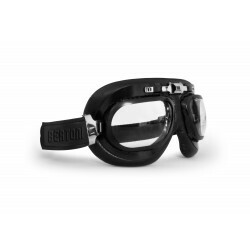 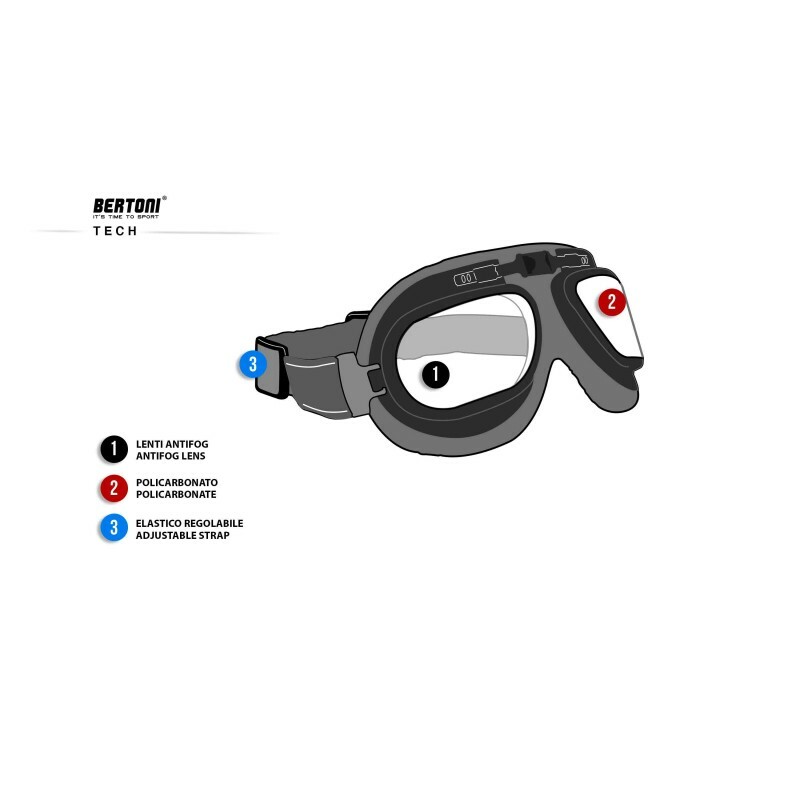 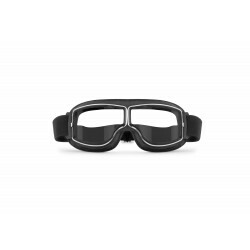 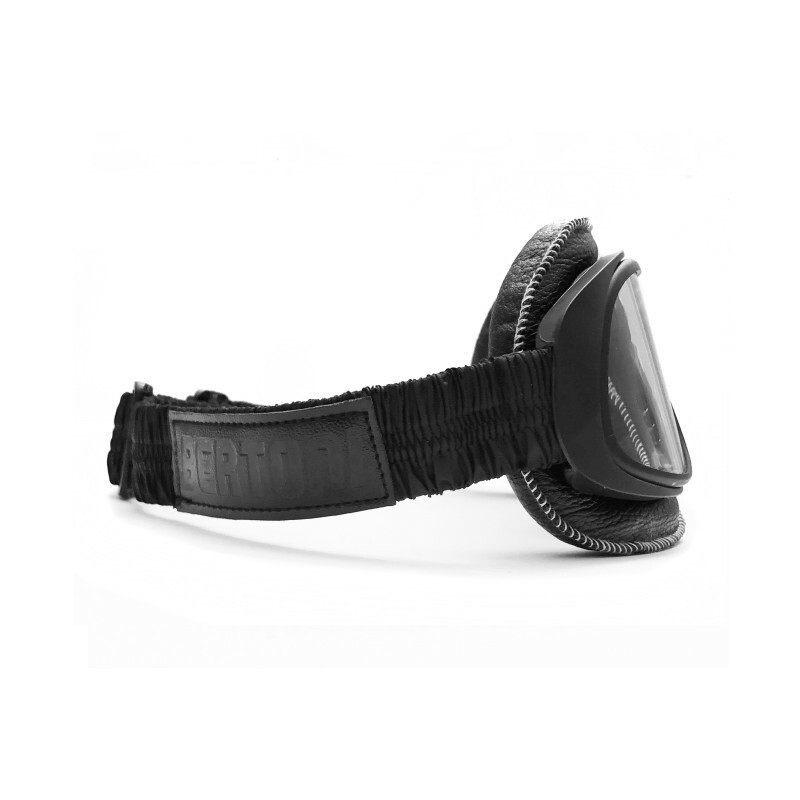 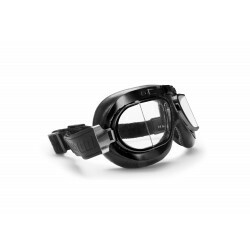 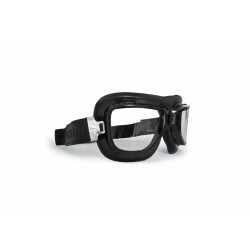 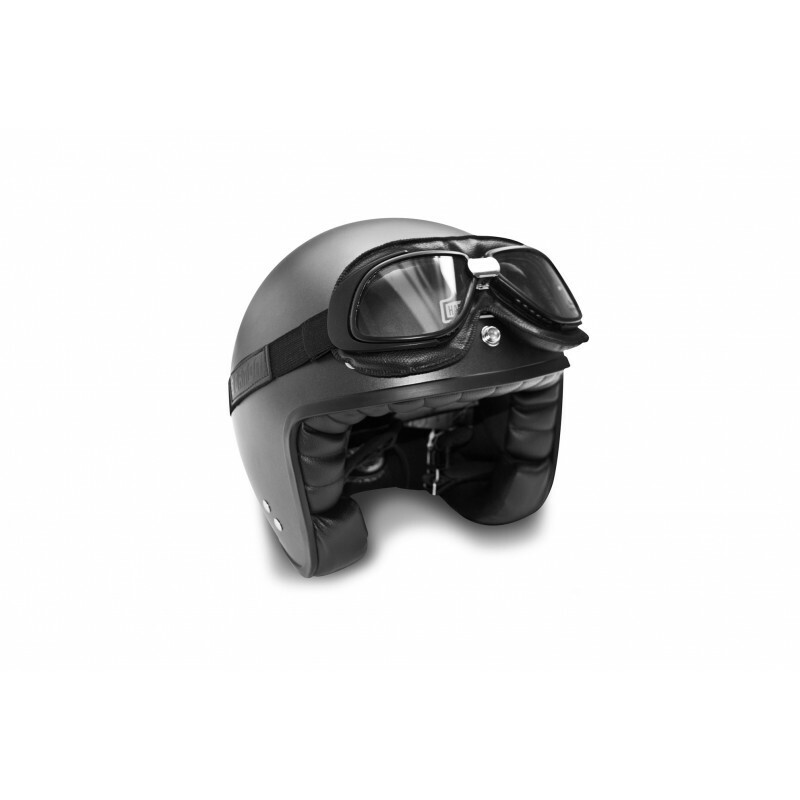 The elastic strap is adjustable and 2 hooks are strategically positioned on the frame to draw the strap forward and backward from the goggle's frame to provide a perfect fit in a wide range of helmet. 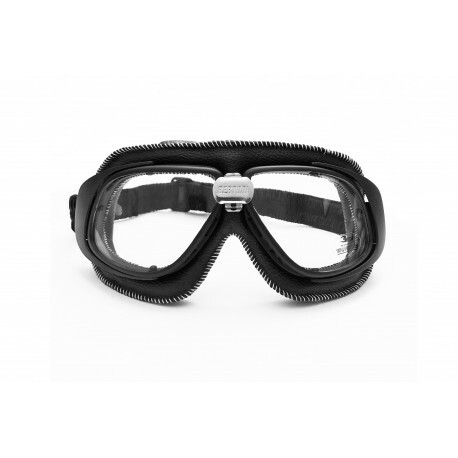 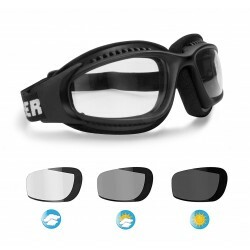 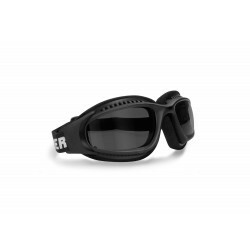 The profiles of the lenses and the hooks are in mat black color. . 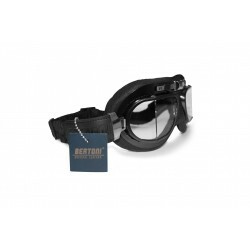 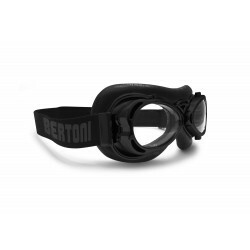 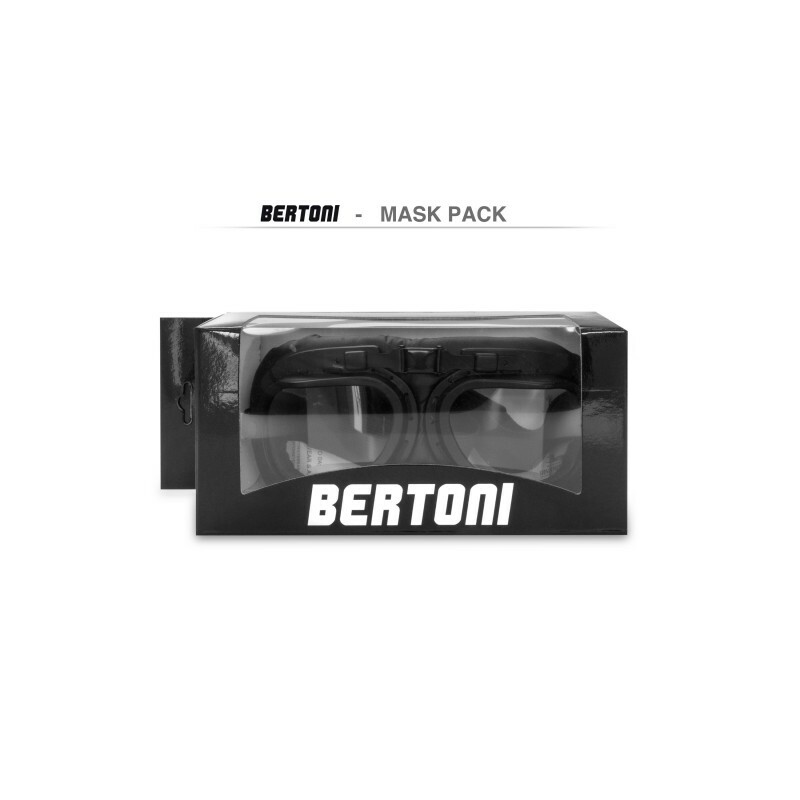 The lenses are made in polycarbonate anticrash with 2,2 mm of thickness Bertoni provides lifetime after sale service for all Bertoni goggles and sunglasses.